I've got a thing for pearls and ribbon together. 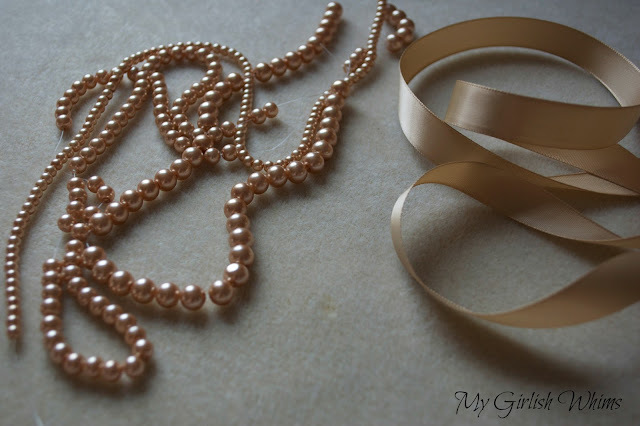 I just think it is such a modern twist on the classic pearl necklace. 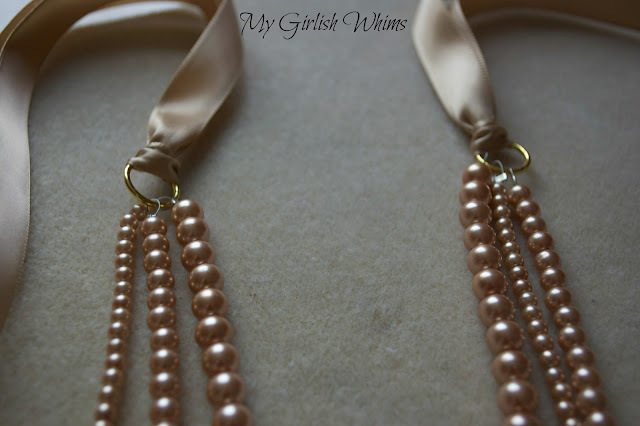 I posted this ribbon & pearl necklace almost two years ago, and now I'm back with a little different variation. I've got a full tutorial for you guys, but if you are not into making jewelry this is also for sale in my etsy shop! 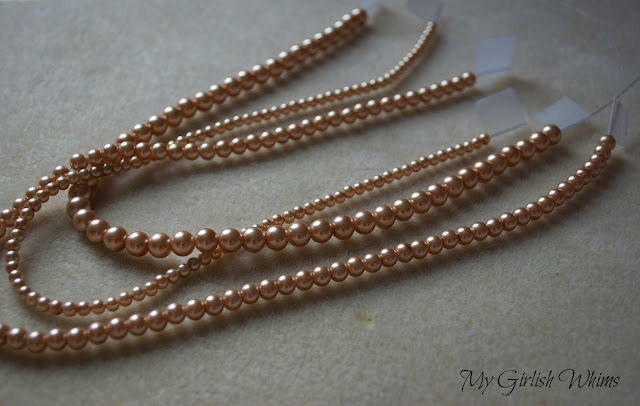 I got my pearl beads from Prima Beads and the rest of the supplies you can find in any craft store. 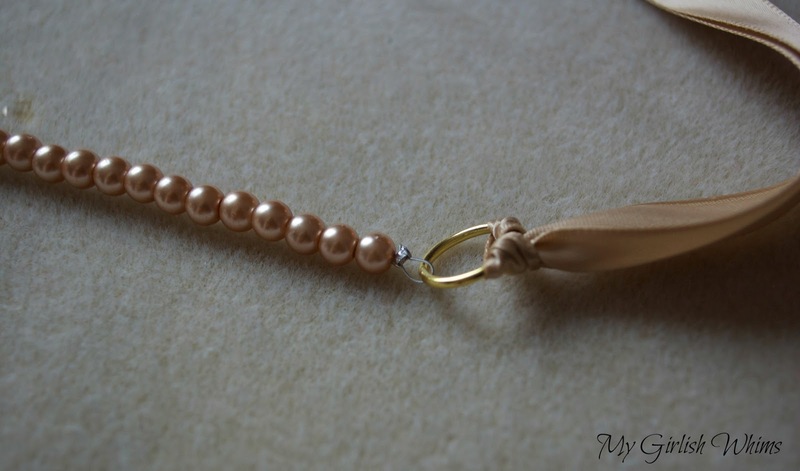 First step is to string the pearls onto beading wire. 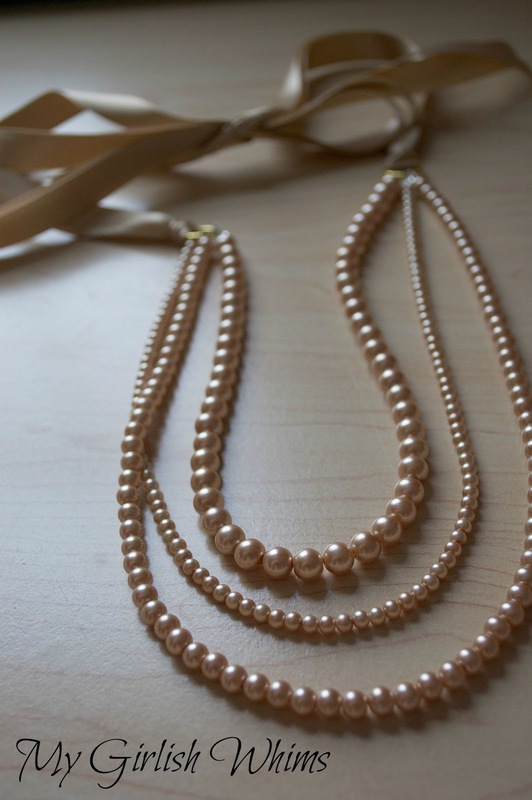 I used 4mm, 6mm and 8mm pearls and strung them at varying lengths. I taped the ends of my strands during the process until I figured out the exact lengths that I wanted. 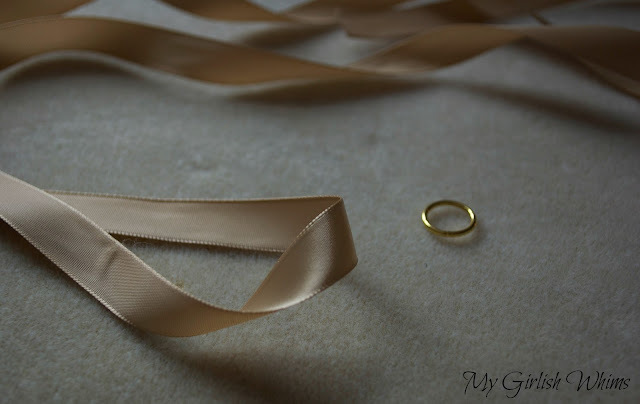 Now, this next step could be done using a ribbon connector, but I didn't have any laying around that were gold, so I just grabbed the biggest gold jump rings I had and tied a knot with the ribbon onto the jump ring. Cut a length of ribbon and fold it in half. Thread the jump ring through the folded end. 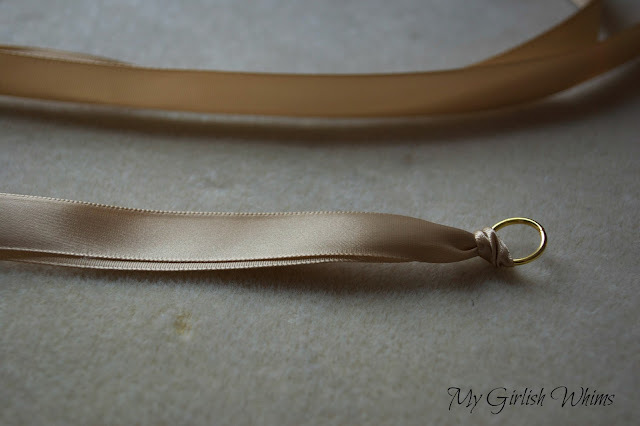 Bring the ends of the ribbon back through the loop in the folded end and pull tight. 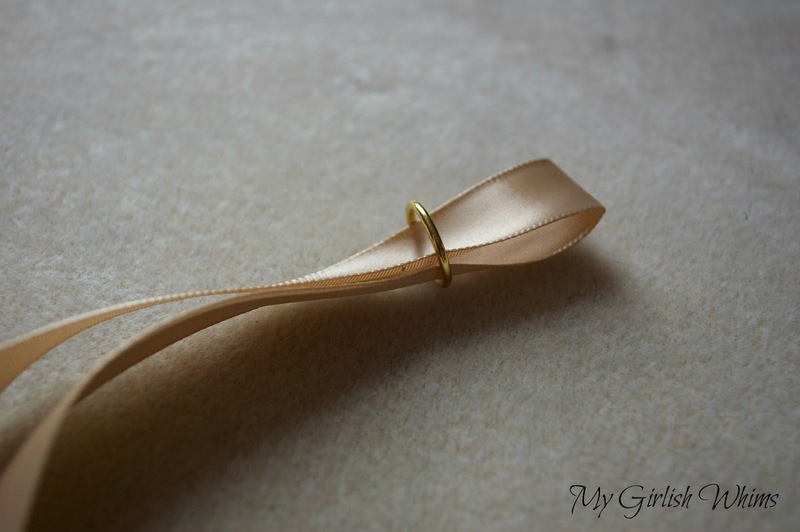 Do this for both sides of the necklace and burn the ends of the ribbon so they will not fray. And after that, you are done! 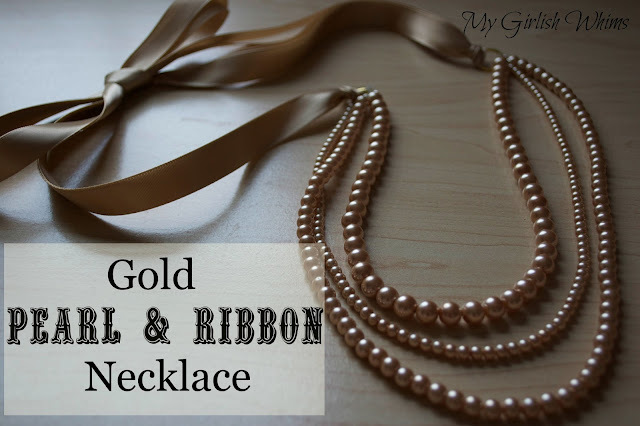 The nice thing about the ribbon closure is that it allows you to change the length of your necklace depending on what outfit you are wearing. 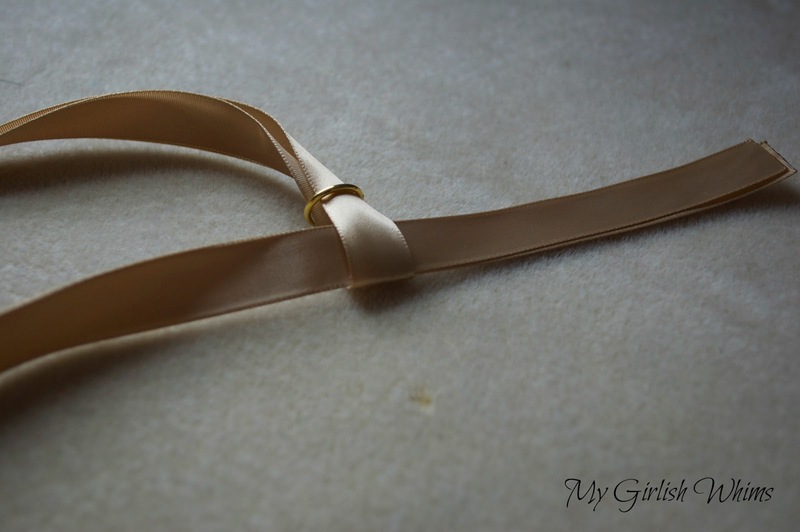 The bow in the back would also look super cute if you were to wear your hair up! I loved your white one but I like this one even more! !